WordPress makes it easy to bring your business online and connect with your audience. You could also easily use it to build sites to generate more revenue for your business. 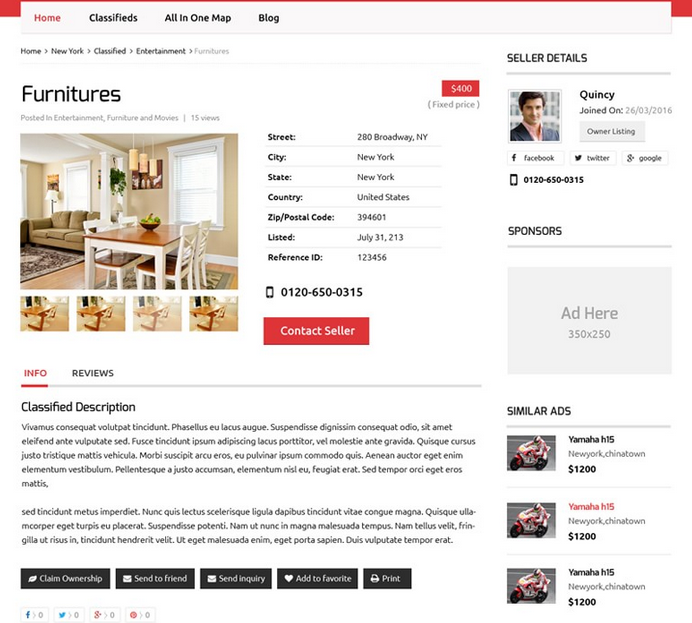 Classifieds for WordPress is a premium theme that lets you sell listing ads online conveniently. The theme is powered by the Tevolution, Location Manager, and Classifieds plugins. Classifieds has a clean and responsive design. It lets you create a global classifieds directly as it comes preloaded with 200+ countries and 4000 states. The theme comes integrated with Google Maps. You can charge your customers for regular listing ads and featured posts. The theme also lets you offer coupons to promote your business. You also get useful reports. 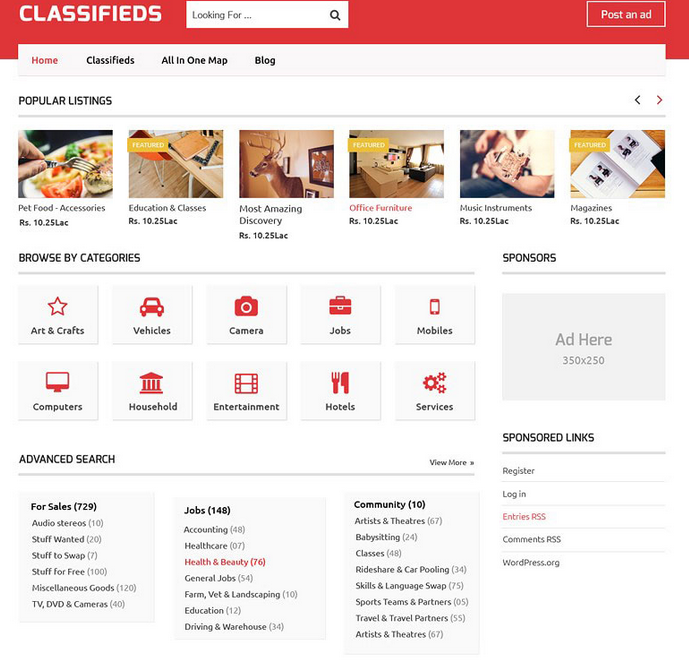 Classifieds is a child theme for the Directory theme. It lets you create and manage classifieds and make money in various ways. This is a premium theme.